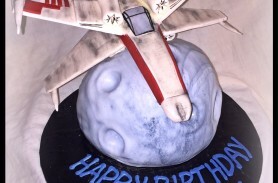 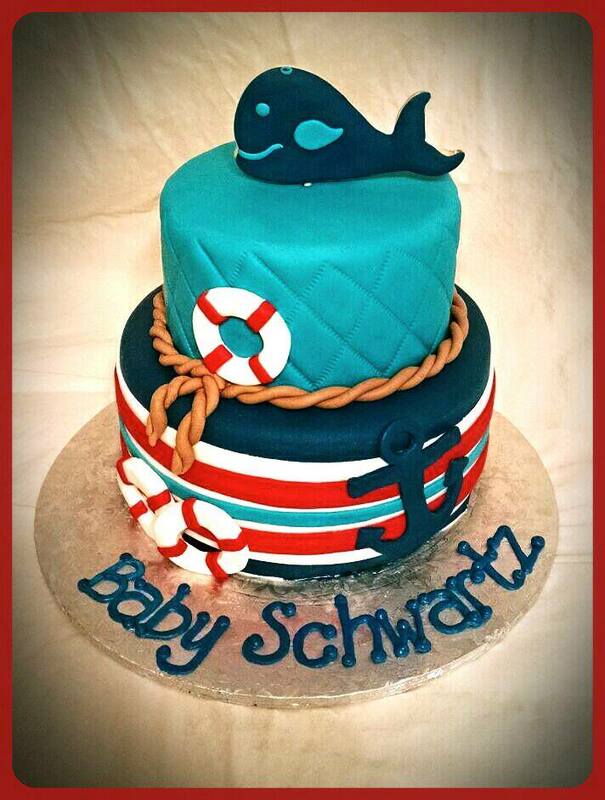 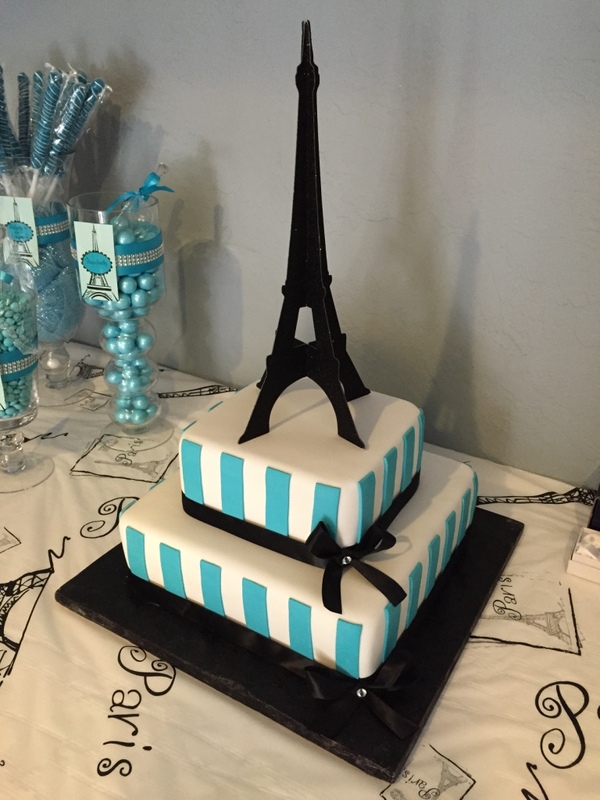 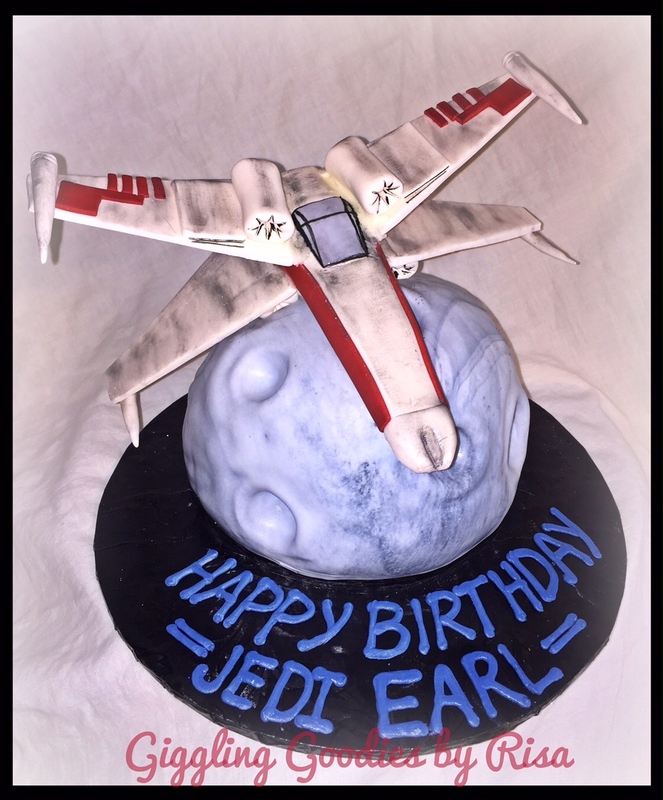 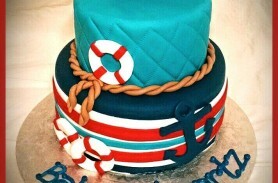 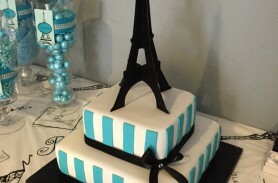 Each cake order is made fresh and customized to your party theme. 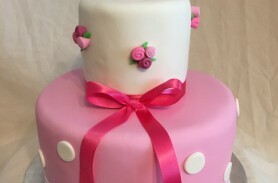 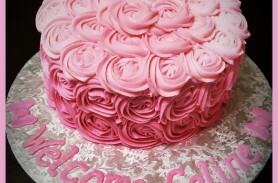 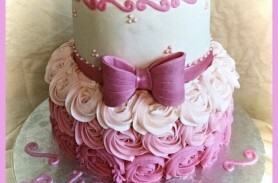 Custom cakes could be covered in my signature butter cream frosting, or for a more finished look, covered in fondant. 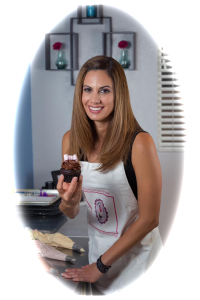 I have many flavor options available and I am always working on new flavors. 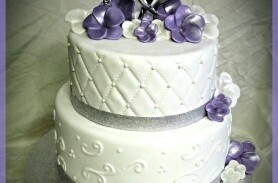 All cakes are available with filling to compliment the cake flavor. 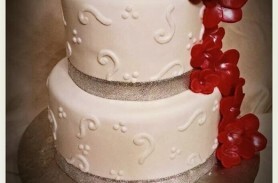 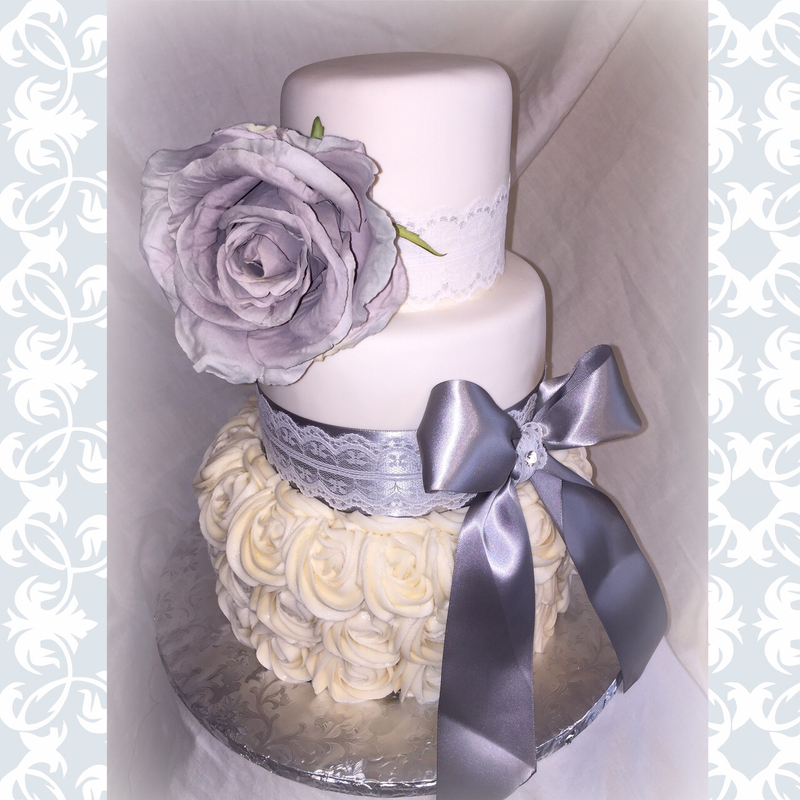 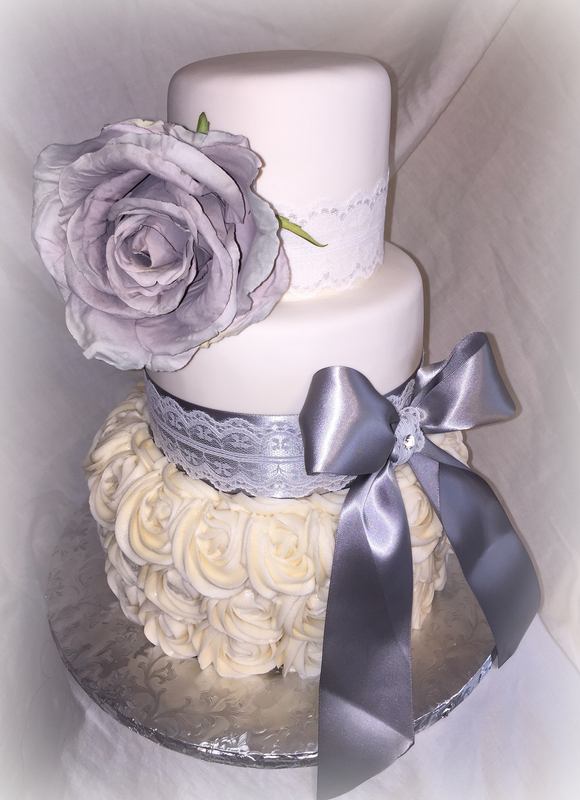 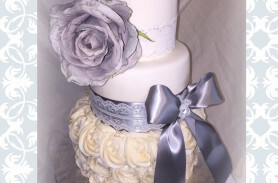 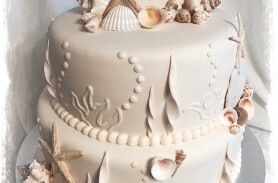 Each custom made wedding cake is thoughtfully prepared and sculpted to match the bride and groom’s taste. 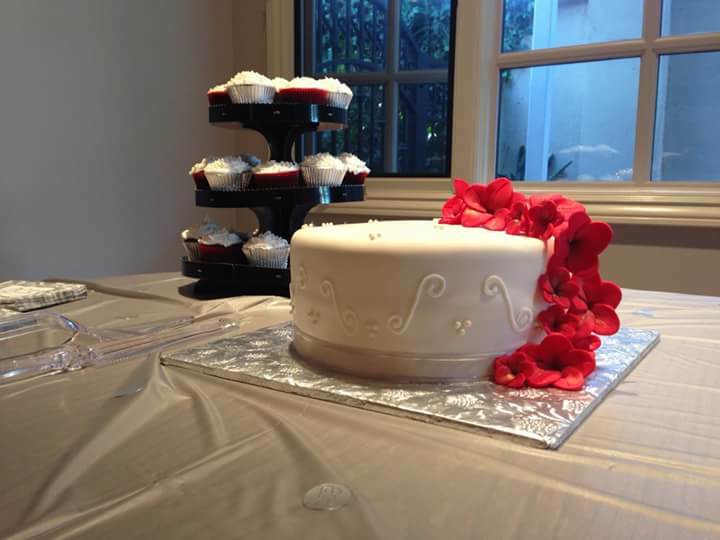 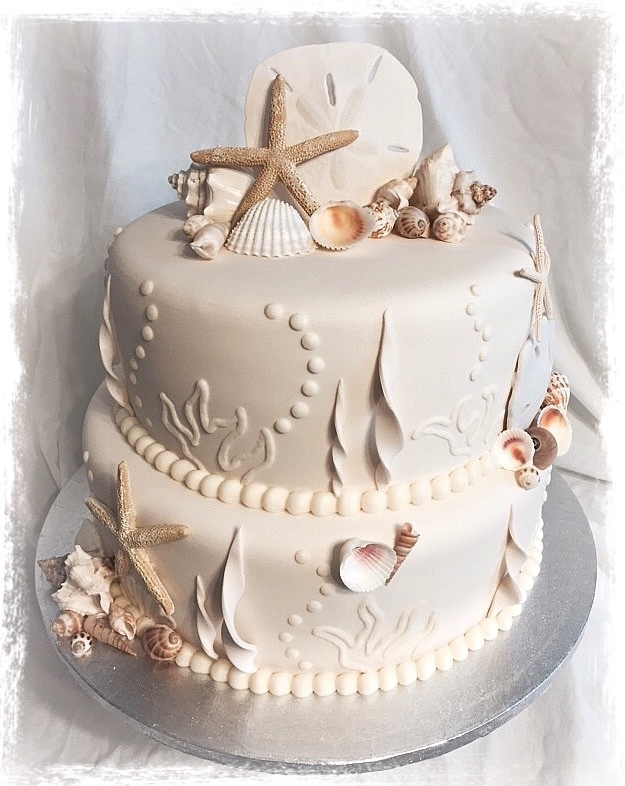 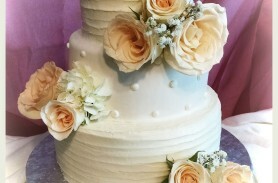 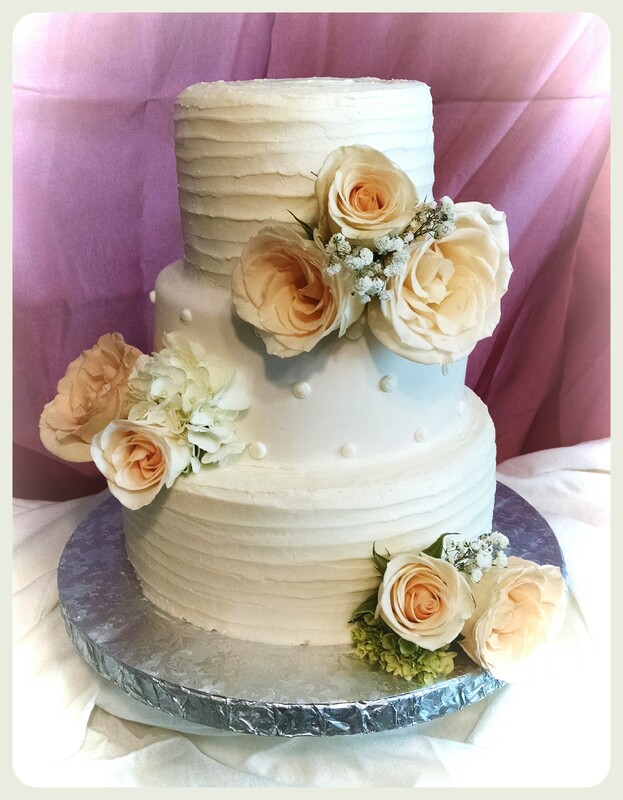 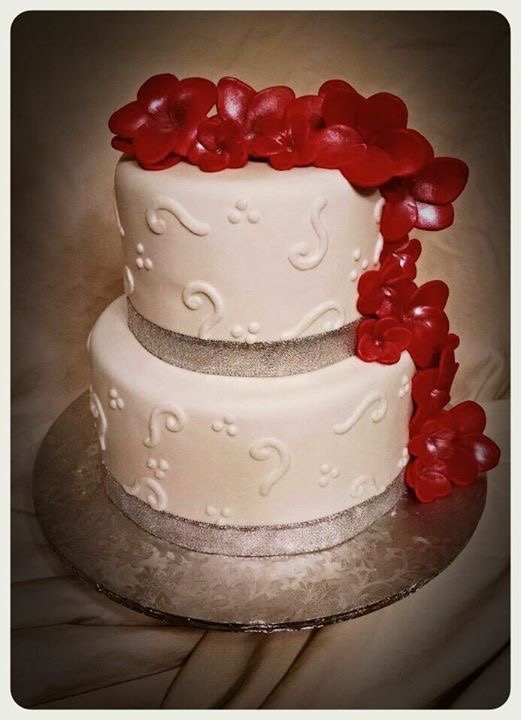 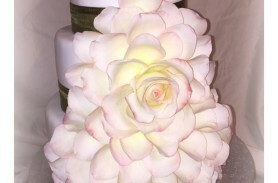 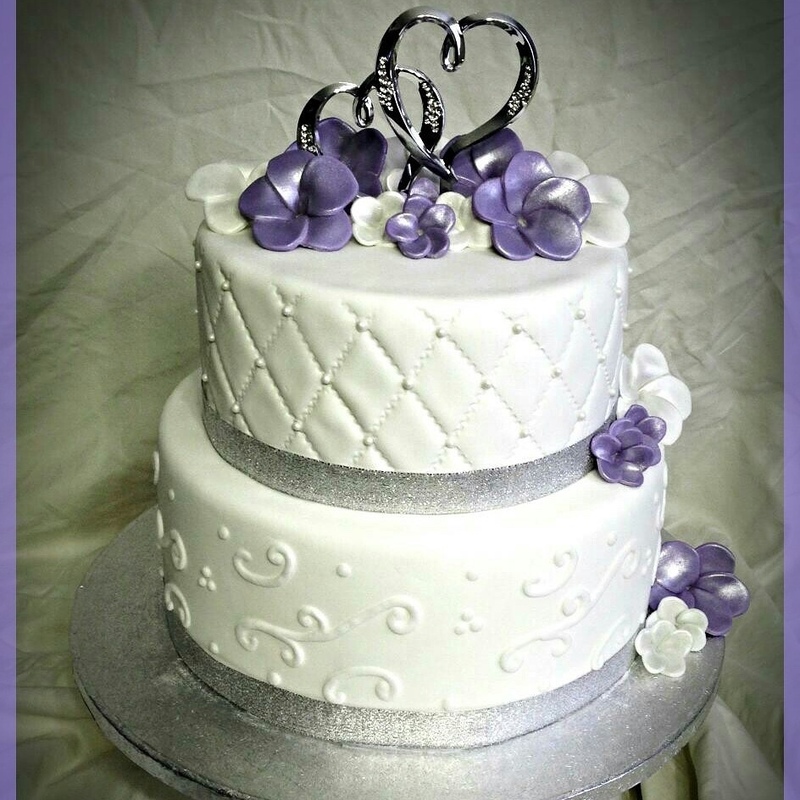 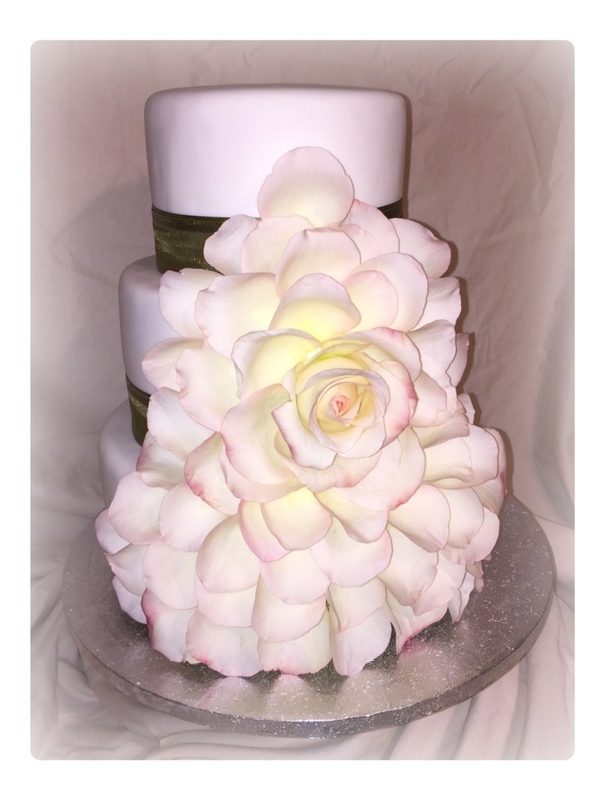 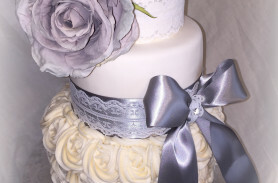 I offer wedding cake tastings where we will meet and discuss the flavors and cake design for your memorable day. 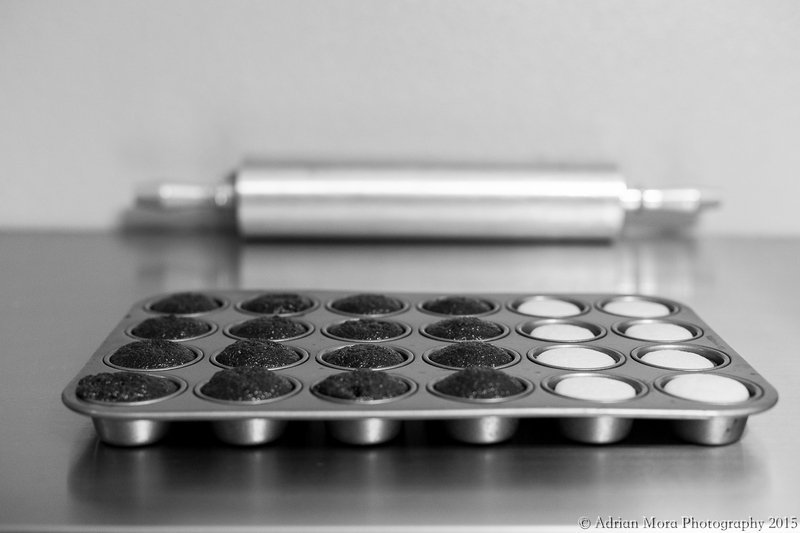 There is a non-refundable fee associated with this tasting that will be applied as a credit once we confirm the order. 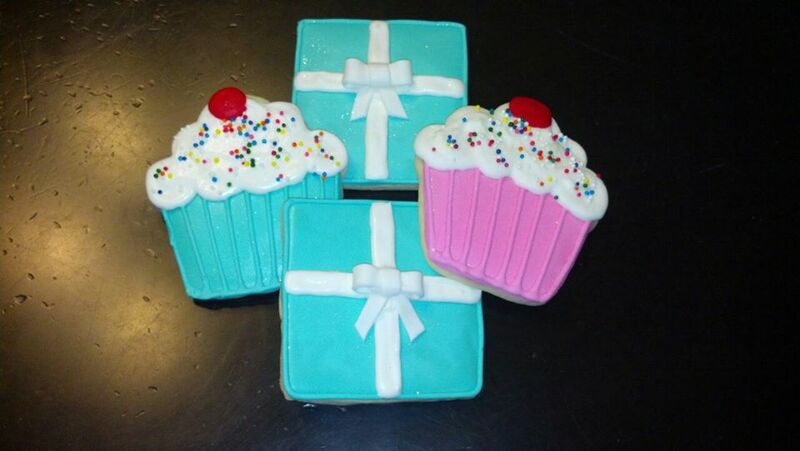 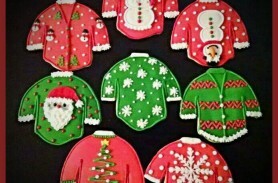 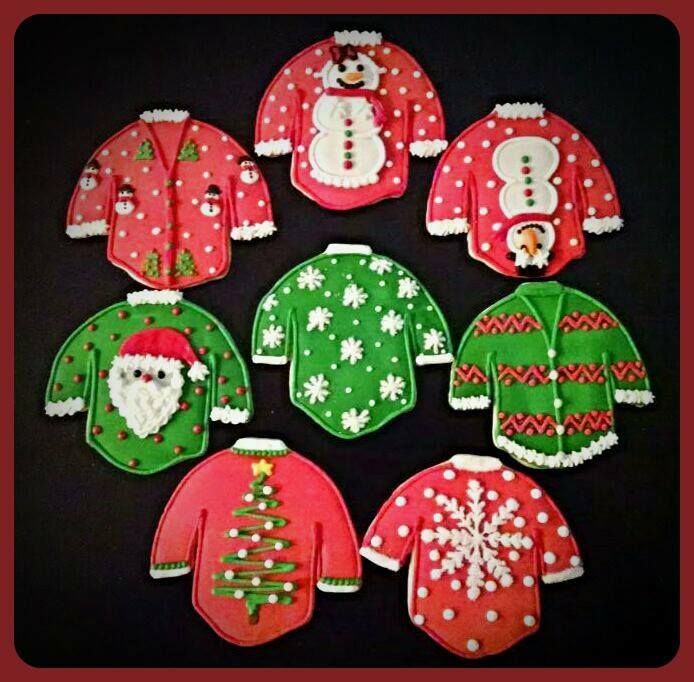 Decorative Cookies are my signature sugar cookies frosted with my delicious royal icing to create the designs. 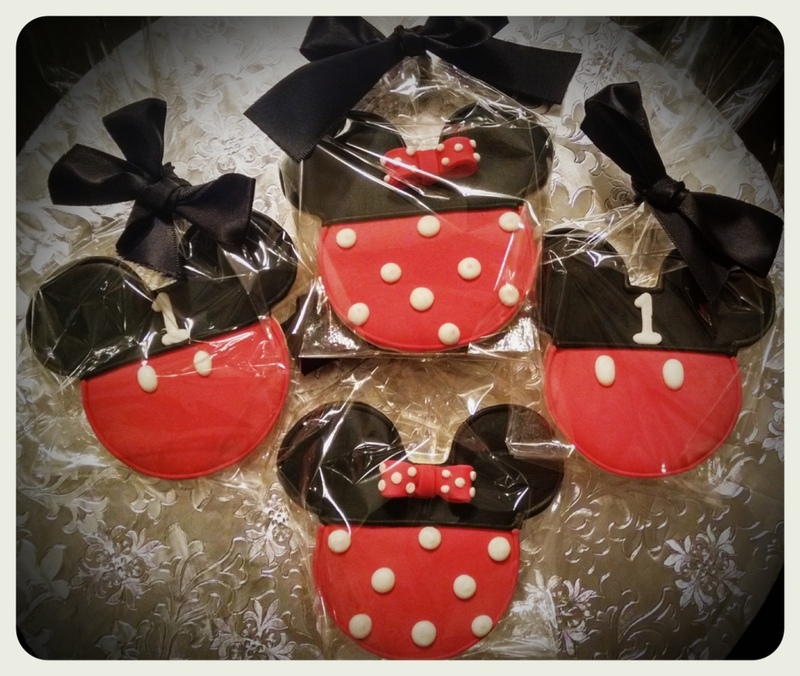 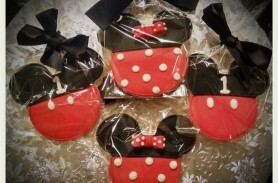 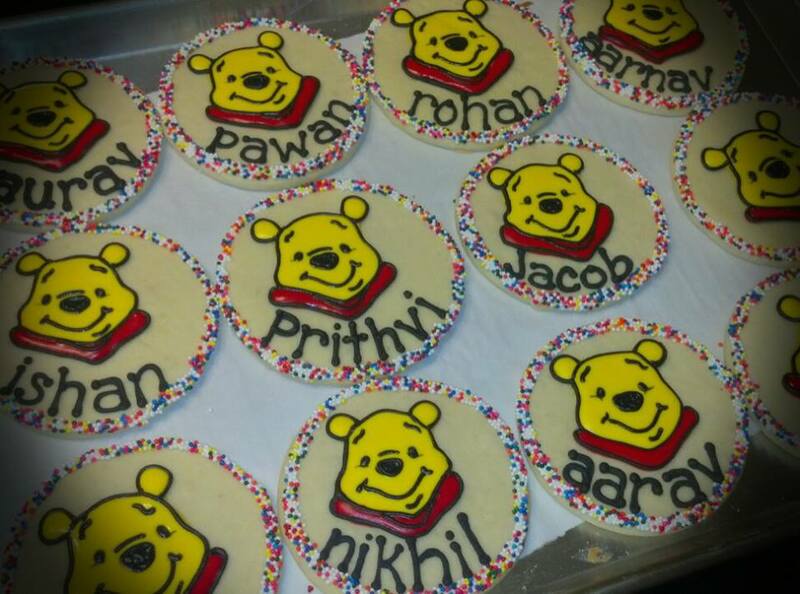 Each cookie is baked fresh and hand-painted to match your special occasion. 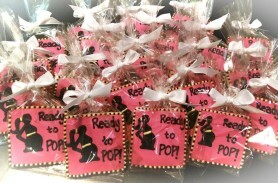 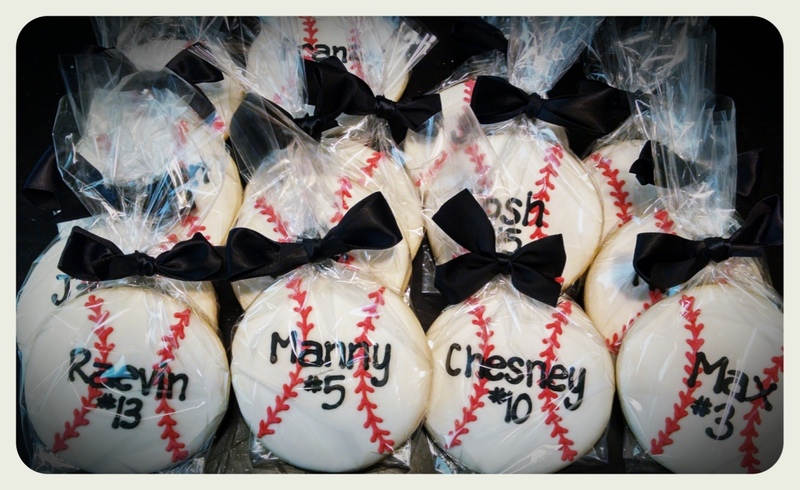 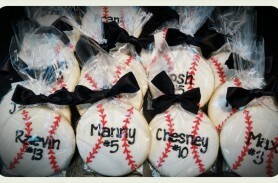 You could add an extra special touch and personalize each cookie for that special person or event. 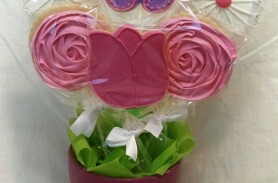 All cookies are individually wrapped in a cello bag and tied with a ribbon. 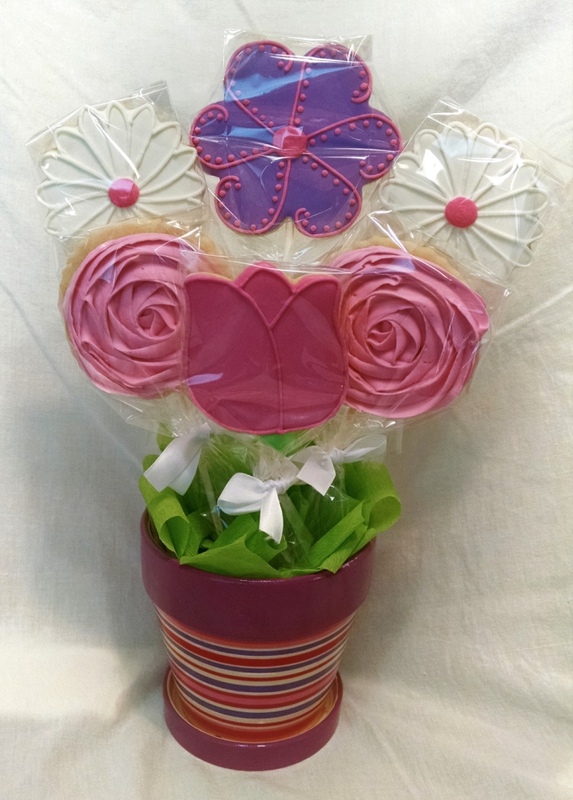 Cookies also are available as cookie pops on sticks, and can be arranged in an edible cookie bouquet. 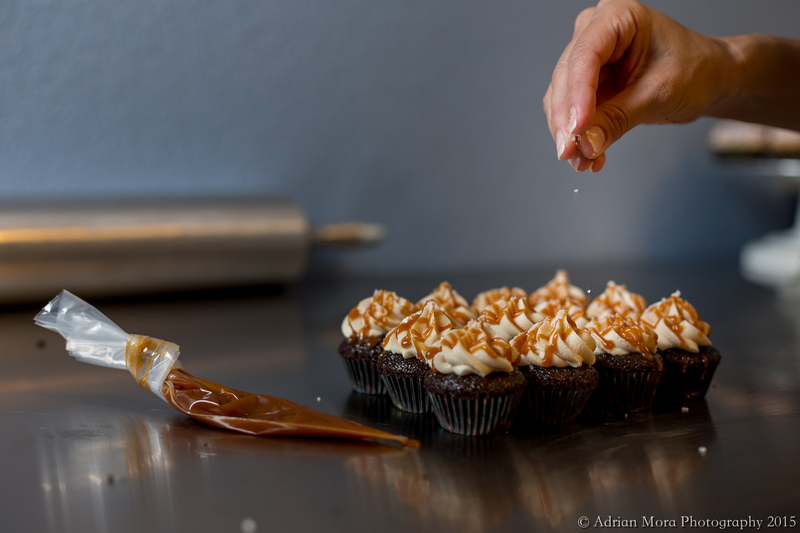 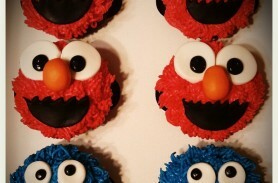 Gourmet cupcakes are baked fresh to order and of course made with attention to detail. 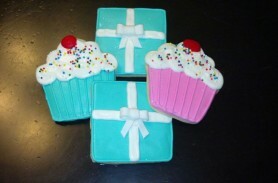 Cupcakes are available in a regular size and a mini size. 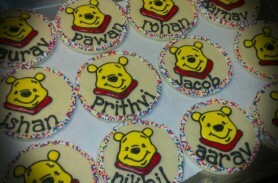 They can be topped with edible cookie or fondant toppers. 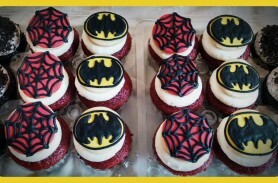 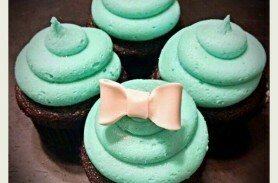 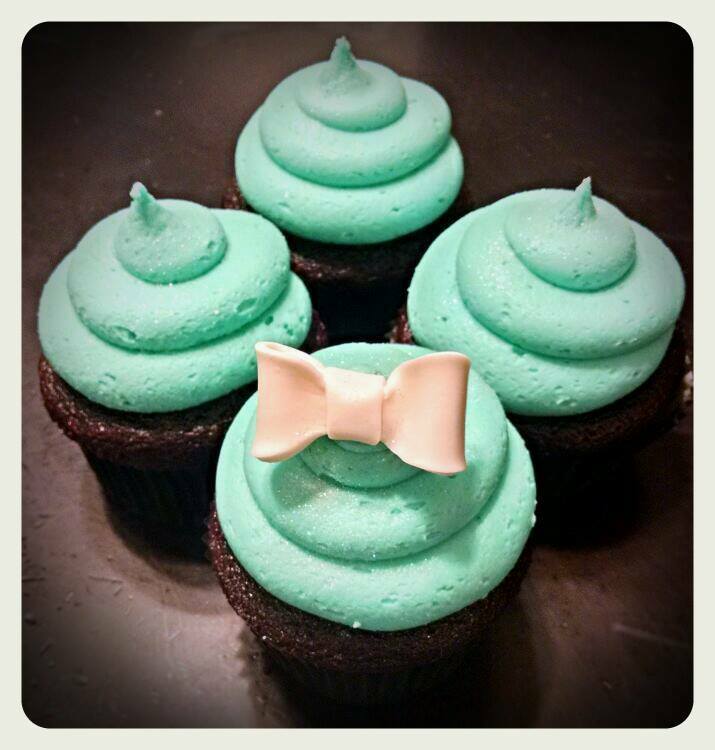 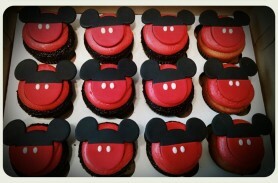 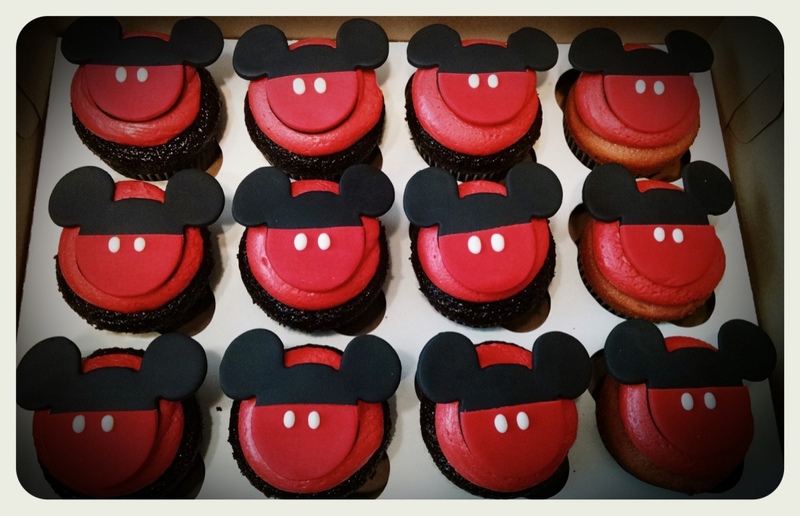 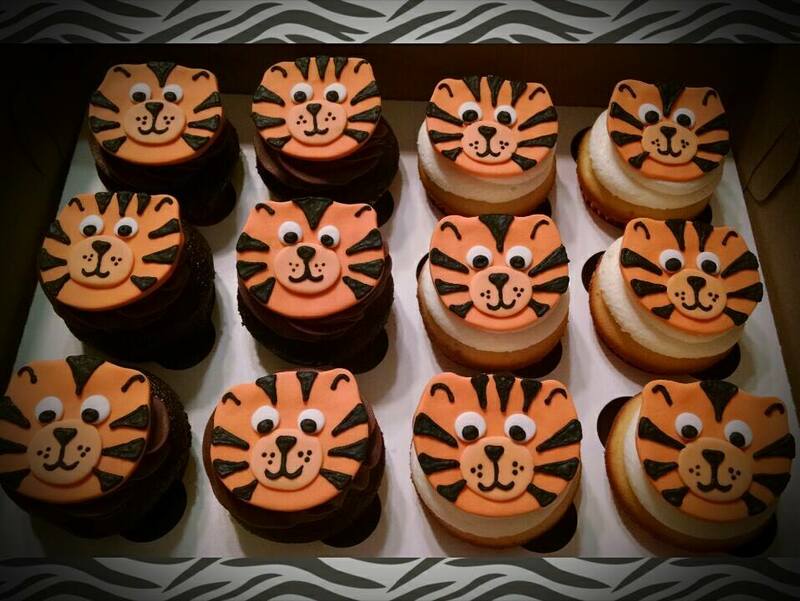 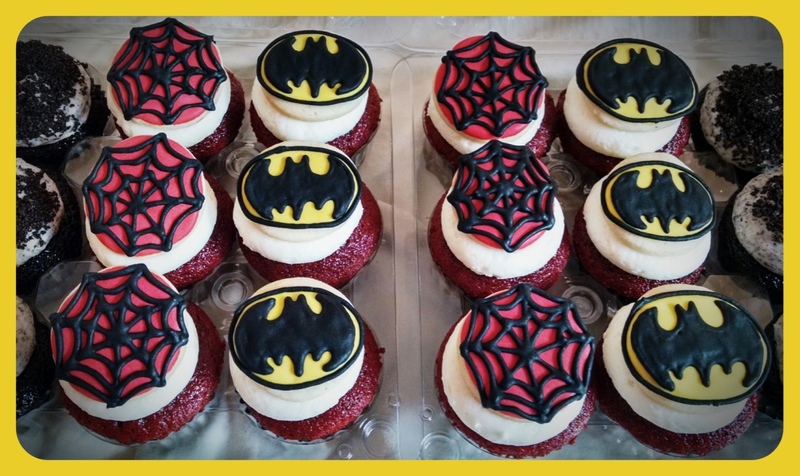 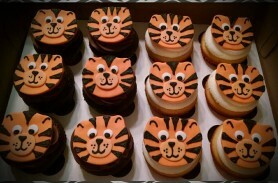 Each cupcake is handcrafted to match your party theme. 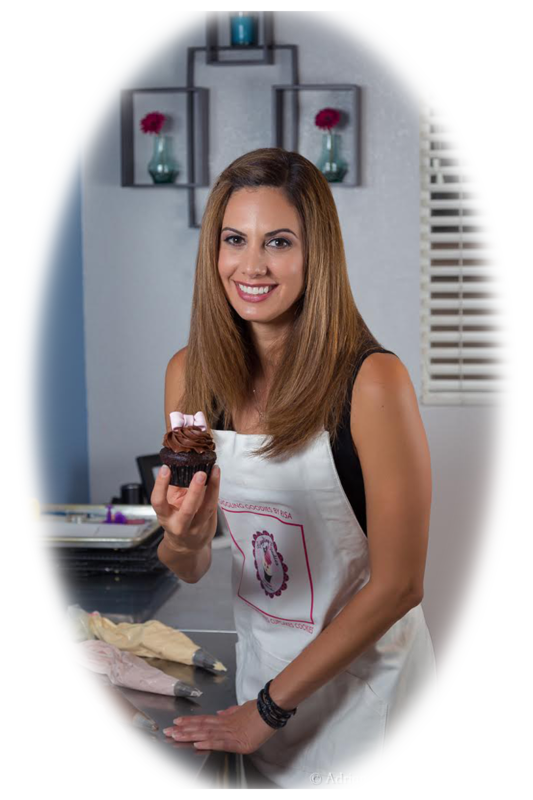 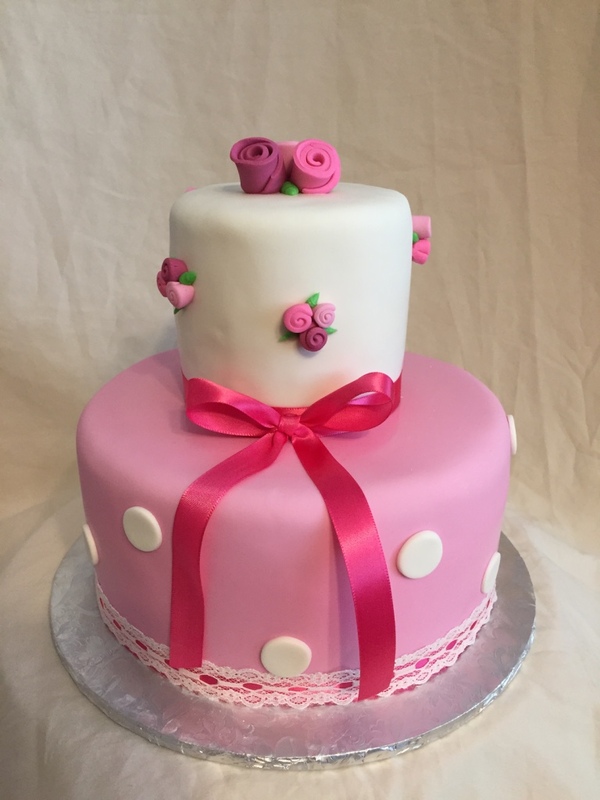 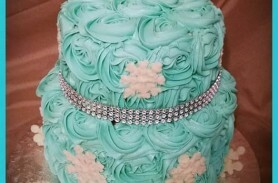 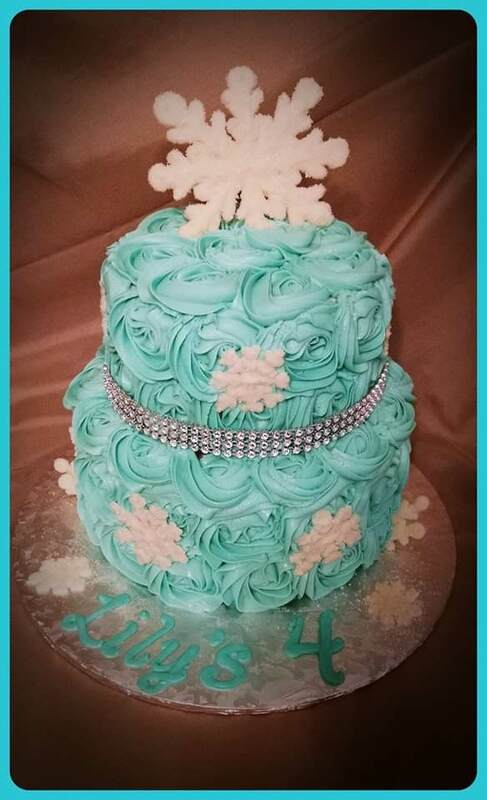 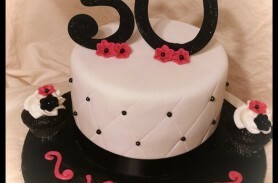 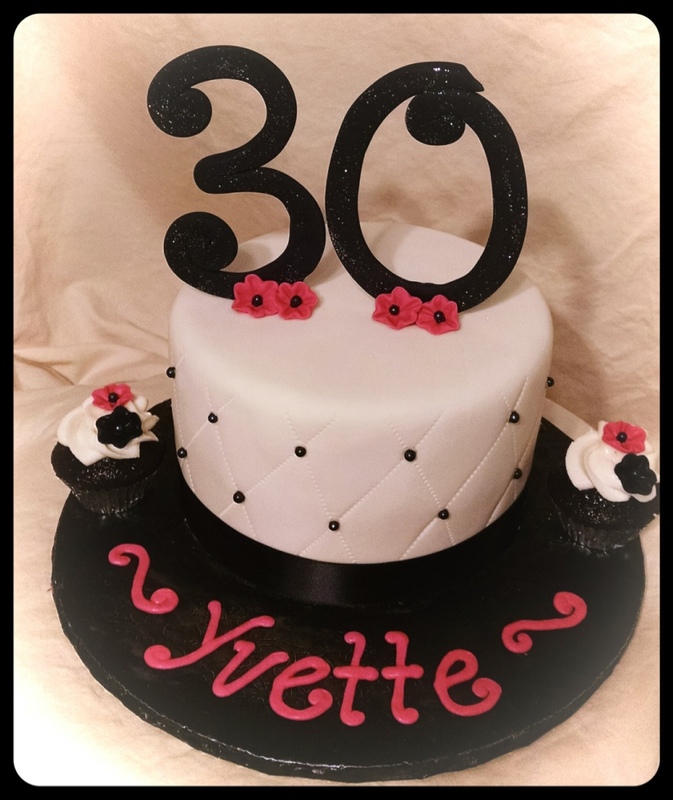 I am a self taught cake decorator and designer of Giggling Goodies by Risa, who began creating edible works of art in my own kitchen for my family. 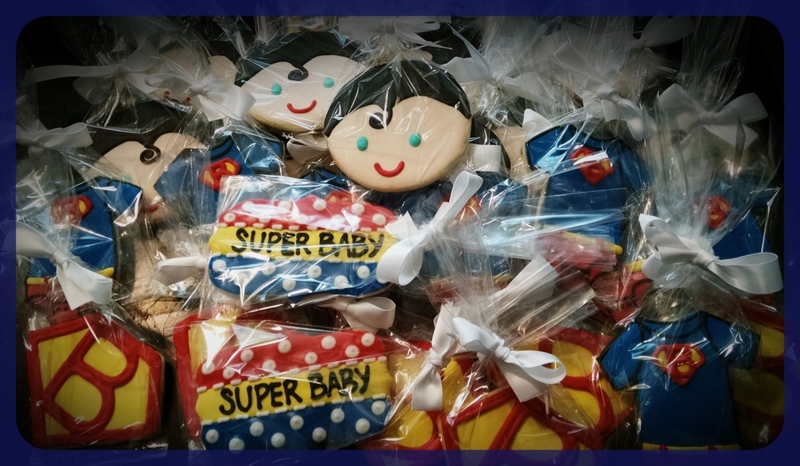 My kids are my number one cheerleaders and love when I bake and create goodies for them. 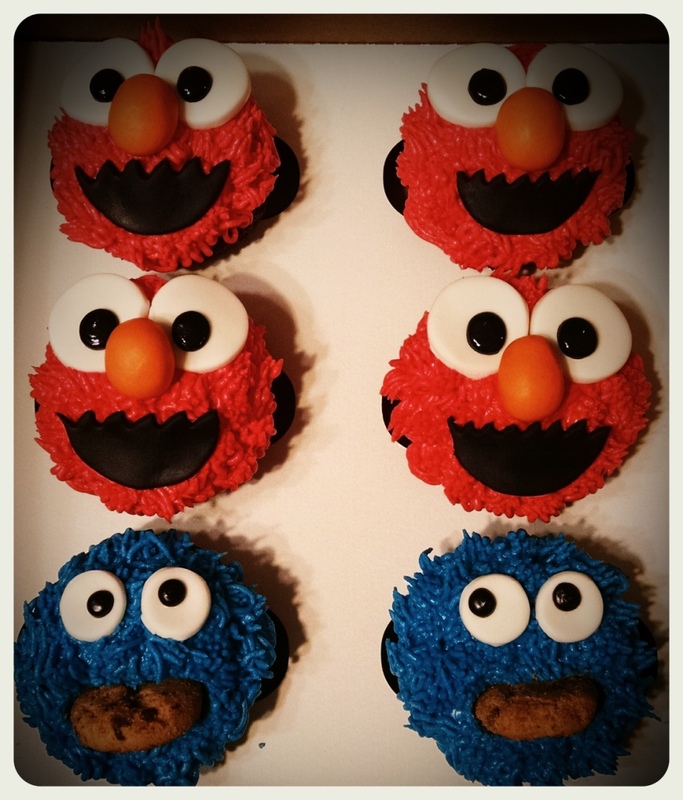 Each Giggling Goodies by Risa order is handmade, baked using the freshest ingredients, created and designed by me to ensure the highest quality product. 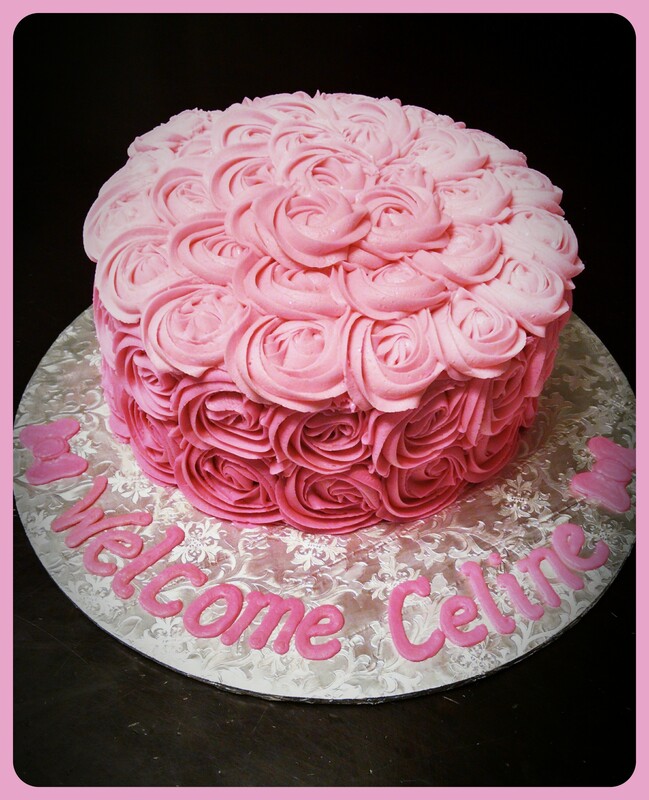 Every order I bake is a representation of my creativity and passion for baking. I guarantee that every dessert will not only be fresh and delicious, but will be visually pleasing in every way. 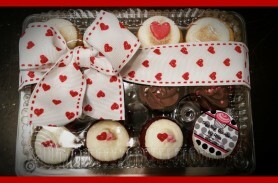 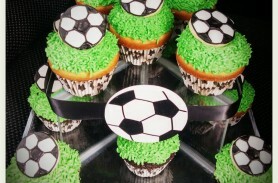 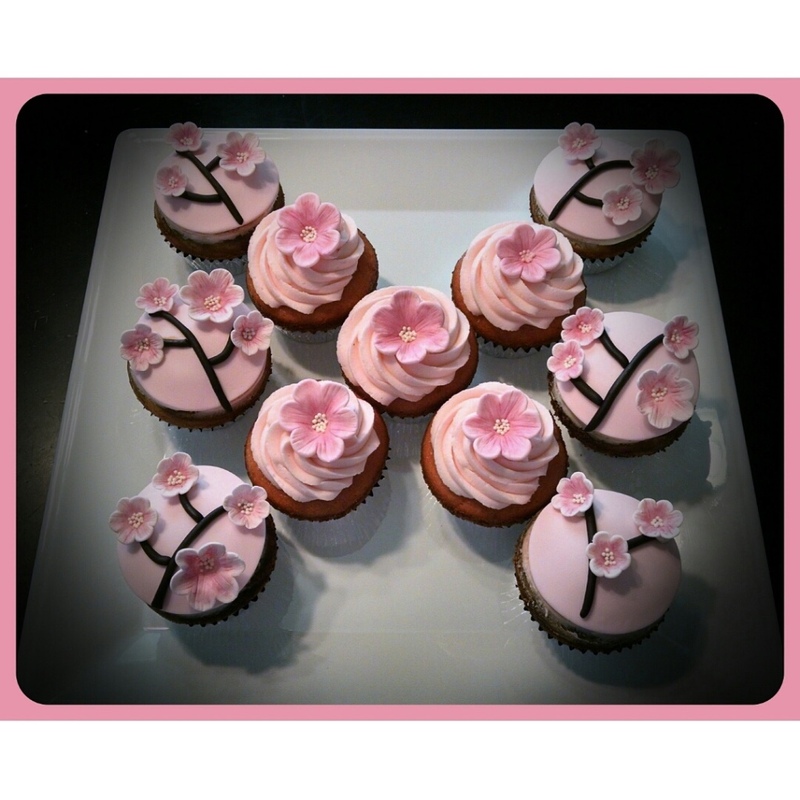 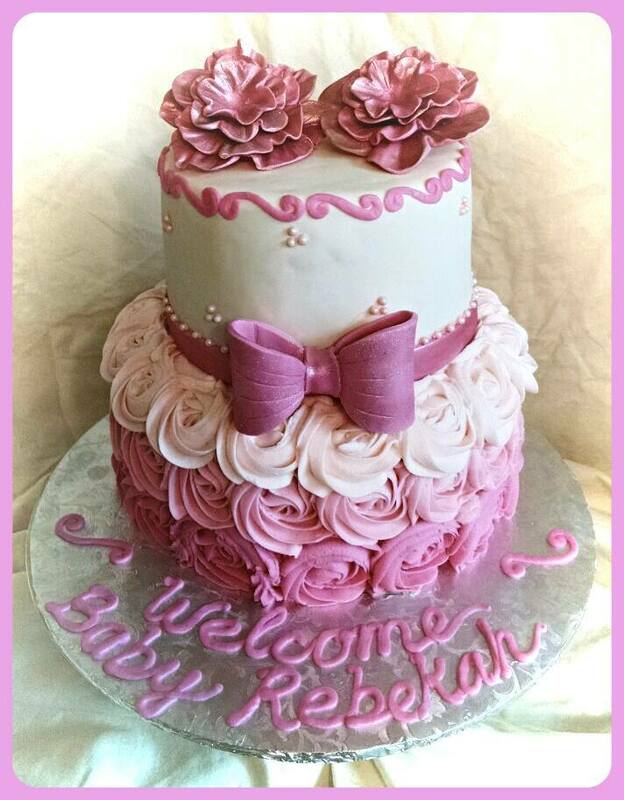 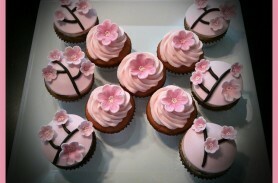 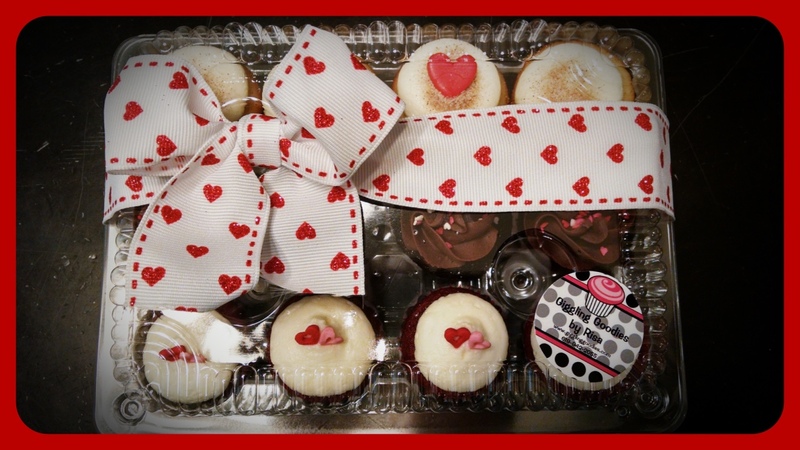 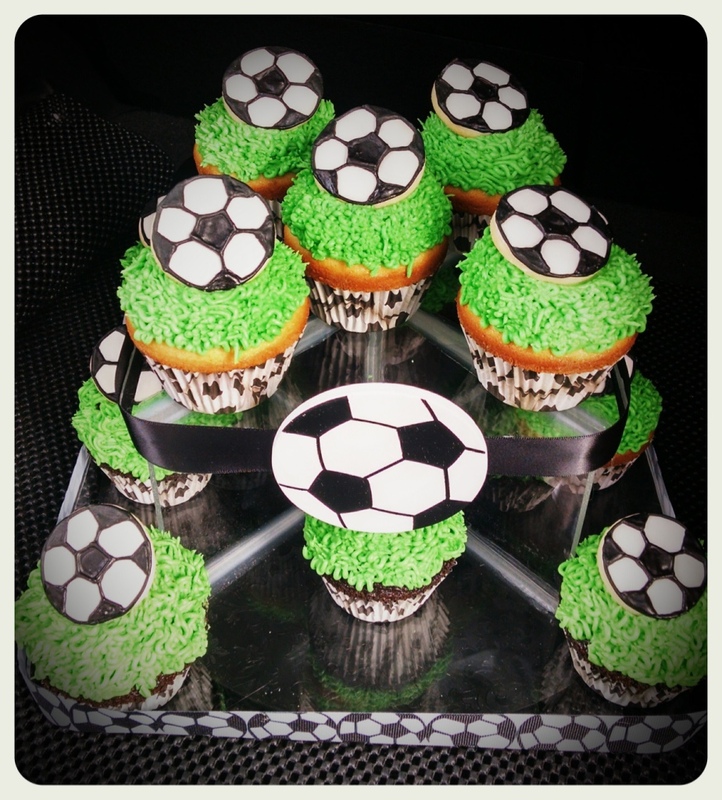 My gourmet cupcakes, custom cakes, and decorative cookies are a fun way to add some “sugar & spice” to any occasion. 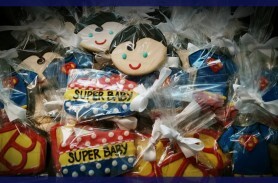 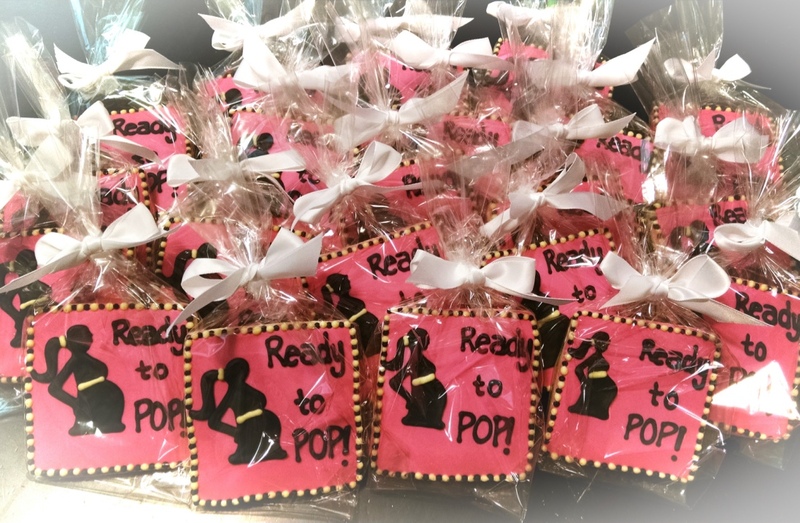 For a special “goodie” contact me and let me create something amazing for your next celebration.